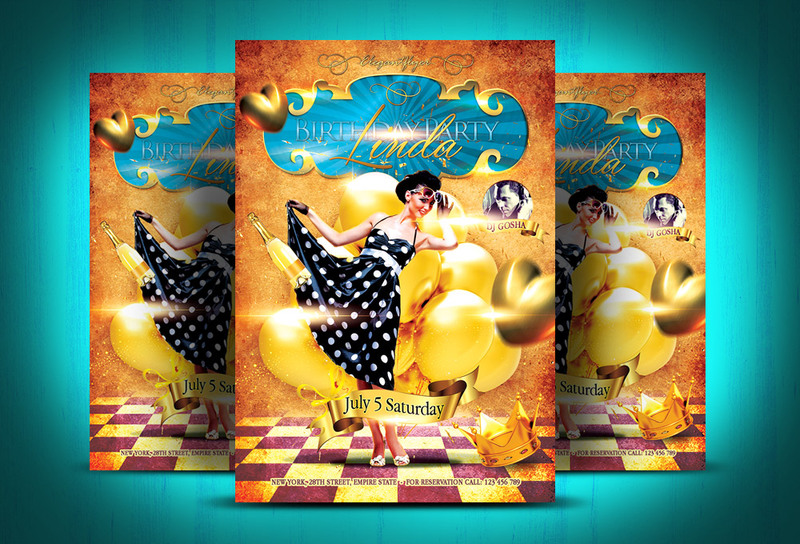 Friends, today’s freebie is a birthday party flyer PSD file along with the Facebook cover PSD created exclusive for our readers by ElegantFlyer.com. The flyer design is can be used for your or your loved ones birthday party. It also comes with Facebook cover PSD file. The content including images, objects and color palette can easily be changed in this Free PSD file. The fonts used in the design are free and you can find the details of the fonts along with instructions for editing the PSD fiiles.